Ok Feld fans, remember this? After Rum and Pirates, Feld expanded on his start of his Alea Big Box run with ItYotD. For those that are not familiar with this game and are thinking that you missed out on some yummy point salad, well, not really. There are different ways to score points for sure, but this game is all about mitigating and avoiding all the bad things that are coming - a design that would also be seen in his next game, Notre Dame. This is a game that feels like I'm trying not to lose more than the other players, rather than trying to win. I played it a bit online (there is an async version available to play on MaBiWeb) and decided that while there is nothing wrong with the game, it just wasn't really a game I got excited about. I think a lot of the hype at the time was around how different it was from a lot of the Euros that were currently popular (remember, Puerto Rico was still a big thing 10 years ago). NONE! Fallingest star was Louis XIV dropping a few more spots out to #90. Louis XIV was/is the first in Alea's Medium Box line of games (released 2005). Something of an area control/influence game, players are trying to gather influence in the Sun King's court. The game's rules were pretty bad by Alea standards, but the game itself wasn't terribly hard to learn. It was a cool little game except for one thing - there was a set collection portion to scoring points and unfortunately it was totally random. At least for me, it spoiled this game. Out-planning the other players only to lose because someone got lucky isn't terribly appealing. Others must agree to some extent as Louis is sitting at #503 ten years later. Lots of games in the top ten moving around! Agricola (+1 #7) - No surprise here. This hit gamer's tables and never looked back. Through the Ages: A Story of Civilization (+8 #9) - TtA continued its climb. Like Agricola, it wasn't going to go anywhere for a while. It currently sits at #22, but the revision is doing well in its place. Age of Steam (-1 #10) - Hey look! Age of Steam was still in the Top 10! Age of Steam was one of my favorite games until Martin Wallace revised it as Steam. A lot of folks still prefer the original, but I like the mechanical changes that were made (especially how new goods got onto the board instead of the silly dice thing from the original). Regardless of whether you like Steam, AoS, or Railways of the World, the basic premise of building track and moving goods is the same and these are all really good games. Age of Steam too has fallen out of the top 100, sitting at #114, but still enjoys many dedicated fans. These are the the five games that made the biggest jump up the BGG charts since the previous month (not in the top 10). Race for the Galaxy (currently #47) - Race had early reviews as far back as Oct. 2007 stirring up gamer's desire to get their hands on this game and when it was more widely available near the end of that year, this game was THE game to be played. Not strange then that this was still climbing a couple months into 2008. This felt like a slightly more wide open version of San Juan and it was obvious from some of the things on some cards that there was going to be more to this game than just this one set of cards (and there was a lot more planned). After a few plays, I started feeling like the game is a little random and that you can have a good idea if you are going to win or lose after the first 3-4 cards are down. Well, of course its random, it is a card game, but this has never really sunk its hooks into me because of that. Last year (2017), the app version of the game and its expansions hit the market and renewed my interest in seeing how the expansions changed the game. It was fun for a bit, but even with the new cards and the ability to fight against the best AI I've seen in a game, I don't know that my initial impression has changed all that much. Combat Commander: Europe (currently #101) - Combat Commander is simply one of my favorite games of all time. I know that war games are not everyone's cup of tea and I know a number of people that have tried CC and said it was too random or chaotic for them. I still love this game (and in fact, embrace the chaos of war that this game injects). The main reason this game is so fantastic is that this game has a better narrative than any game I've ever played - there are more memorable moments per game than any other. I can remember more details about a number of matches from this game than I can from all other games I've played over the years. There are more highs and lows produced each session than almost any other game I've tried and I can't stop gushing about how good Combat Command is and how much fun I have when I sit down to play it. There are a lot of expansions and scenarios that have been released for CC and yet almost universally, fans of the game will tell you that they'd play the very first scenario in the game over and over because you never really know what is going to happen and each session is just that much fun. It says something in a scenario based game when you don't get bored with the very first scenario, but even if you played through all the pre-defined scenarios, the random scenario generator in the game is so well done that you have to wonder if the designer didn't make that up first and then started cobbling together stories for a random set of stuff he generated. Brass (currently #33) - thanks to a recent KS re-release of the game, Brass is still comfortably in the top 35. I have not ever played Brass itself, though I own and have played the revision that Martin Wallace did in Age of Industry. Brass was also released late last year in digital form, so I suspect I may finally investigate the game in that format before I ever actually get a chance to play it on the tabletop. I found over the years, Martin Wallace revised a number of his designs and I have always been a big fan of the more streamlined revisions over his original work. That being said, there have been so many people whose opinions I trust that have said that I have to play Brass, so maybe I'll use this as a reminder to do so. Struggle of Empires (currently #323) - hey look! Another Wallace game! This is also another one of those games that I never played, but I played his revised version that was used as part of the Conquest of the Empire game. Friends of mine that have played Struggle of Empires really like that game, but it is longer and (as I've been told) is best with the full complement of seven players. This is a war game, with (literally) shifting alliances. Part of the beauty of the game is the bidding system at the beginning of each round which is used to pit players against each other and create a set of alliances. 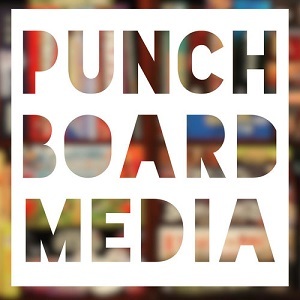 Definitely a niche game, but one I think people would enjoy if they have a chance to try - this is one where you need a group that gets together regularly and likes this kind of thing, or will hook up at a convention to play it. 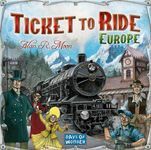 Ticket to Ride: Europe (currently #89) - I can't even begin to guess why this might have made a random move up the charts 10 years ago, but the game itself is great and its hard to argue with the fact that it still sits in the top 100. Europe is its own standalone game, but only has minor differences from the original game in terms of rules/mechanics. In fact, owning only this or the original is required to play the expansion maps. I eventually sold my original game and kept this (but I have the Anniversary set, which covers my America and 1910 needs). Europe (besides being a different map) added stations and ferries (which are used a lot on other maps). Stations help players from getting shut out as much and ferries just make claiming some routes require wild cards. All in all, this is a good set to own.